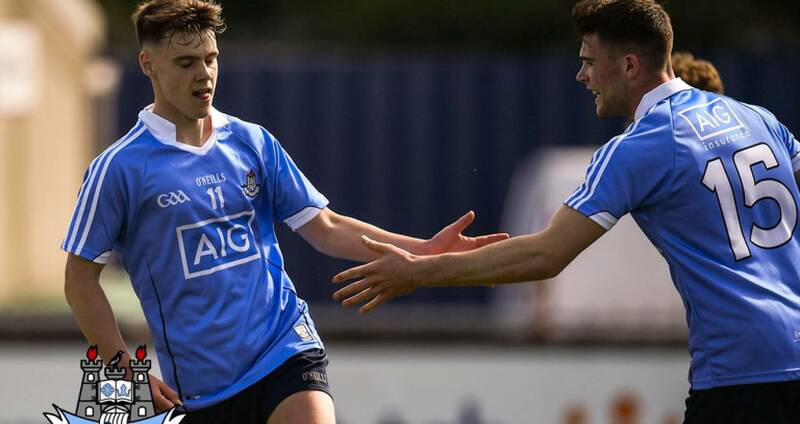 A storming closing quarter saw Dublin's minor footballers get their Leinster MFC Group 1 off to a winning start at Parnell Park on Monday afternoon. Louth led by a point with just over 15 minutes remaining but the young Dubs finished the game in a sprint when scoring 3-6 without reply to emerge 14-point victors. Mark O'Leary, Conor Murray and Liam Dunne grabbed the goals as Dublin suddenly found their scoring touch to leave the Wee County shell-shocked. The opening half was very evenly balanced with Dublin 0-8 to 0-7 in front at the break following points form Seán Foran, Enda Cashman and Matthew Dunne towards the conclusion of the opening period. However, eight minutes into the second half Louth corner-back Tom Jackson showed a clinical edge when firing to the Dublin net to put his side 1-7 to 0-9 clear. But when needed most Dublin had the answers with the influential O'Leary hitting his goal 12 minutes from the end to ignite Dublin's impressive scoring flurry to the finishing line. Dublin face Meath away in their next game of this year's Leinster MFC (U17). SCORERS– Dublin: M O’Leary 1-3, C Murray 1-2, S Foran 0-4, M Lavin 0-3 (0-2f), L Dunne 1-0, M Dunne 0-2, E Cashman 0-1. Louth: D Nally 0-4 (0-2f), T Jackson 1-0, C McCaul, R Walsh (0-1f), M Begley 0-1 each. 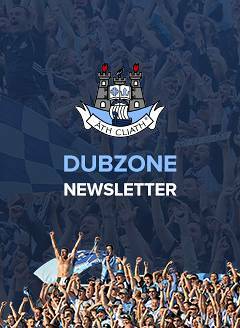 DUBLIN: S Murphy; N Hatton, A Fearon, A Rafter; R Dwyer, C O’Brien, M Lavin; E Adamson, C McManus; M O’Leary, C Murray, E Cashman; M Dunne, C Hennessy, S Foran. Subs: L Swan for McManus (ht), J Bannon for Hatton (43), S Guiden for M Dunne (43), L Dunne for O’Brien (47), J Rooney for Rafter (56), A Watson for O’Leary (60). LOUTH: M McEneaney; T Jackson, P McEvoy, N Buckley; C Flemming, C Shevlin, G Bell; C McCaul, J Mee; C Gillespie, R Hanlon, D Nally; S Healy, R Walsh, J Commins. Subs: C Lennon for Gillespie (17), M Begley for Walsh (23), P Johnson for Hanlon (40), P Murtagh for McEvoy (51), C Quigley for Commins (56). Dublin’s Leinster MFC schedule is - Round 1: Dublin 3-15 Louth 1-7 (Monday, May 7); Round 2: Meath v Dublin (Wednesday, May 23); Round 3: Offaly v Dublin (Wednesday, May 30); Round 4: Dublin v Wicklow (Wednesday, June 27); Round 5: Westmeath v Dublin (Tuesday, July 3).